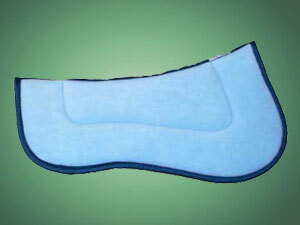 Make sure your ride is *just right* for you and your horse with our partial therapeutic pads! 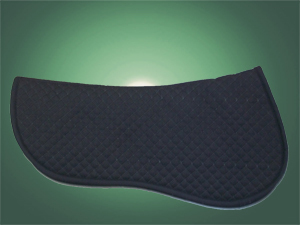 Our Memory Foam Half Pad fills in the gaps around the saddle creating the best fit possible. 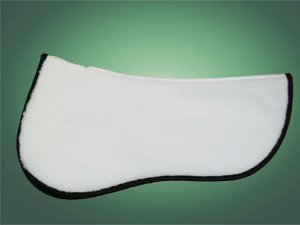 This pad provides superior shock absorption, benefiting both the horse and rider. The suede top is anti-slip, keeping the saddle in place, while the bottom is quilted to distribute pressure and wick sweat. 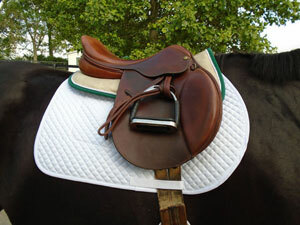 It also helps prevent the pad from bunching underneath the saddle. See Colors Available. Standard sizes are Pony, Horse, and Oversize. Fleece top and bottom over 1" or 2” of foam. 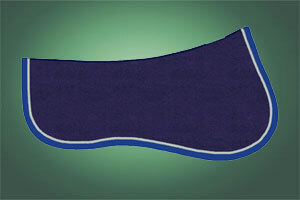 The unique shape allows the “handle” of our cantle lift to fit into the underside of your saddle, keeping pad in place. Sizes are Pony or Horse. Available in all fleece or a fleece top with a 100% cotton quilted flannel underside. 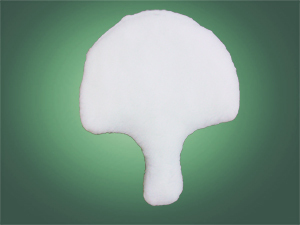 Extra foam can be added on request. 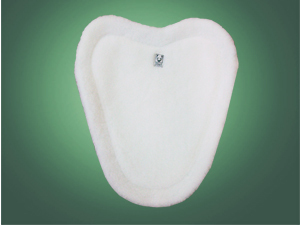 Polar fleece top over 1" polyurethane foam with a quilted cotton flannel bottom. Looks great when paired with a matching baby pad or by itself. Your choice of trim and body colors. Machine washable and dryer safe. A small diamond quilt half pad that is reversible. 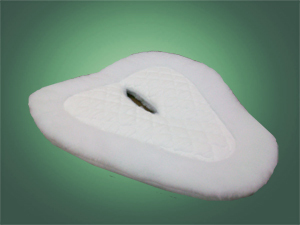 Use it alone or with another pad for extra protection. Quilted side color is your choice of white, black, or navy, while the other side is made of our standard white fleece. You pick the trim and piping colors. 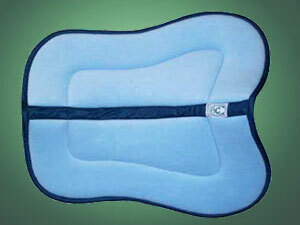 This partial pad has a unique opening at the withers to help relieve pressure the saddle places on the horse's back. The quilted underside and fleece top are reversible. 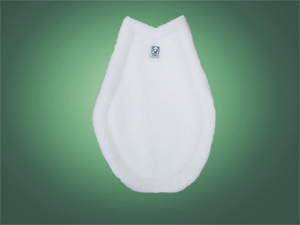 Available in white or your choice of babypad color!